In the dead of winter, when most everything is white or a shade of gray, there are certain flowers that burst through the monochrome with bold, vivid color. Which flowers are these? They’re the following beauties, and they’re ones you should consider planting if you live in an area with mild winters. Daisy-like calendula blooms from late fall through spring. It provides easy color for a garden, and you can bring this color into a home by placing them in a vase. Calendula gives winters a hint of what spring and summer will offer by showing off pretty hues of yellow, orange, apricot, and cream. Cyclamen are known for being popular winter flowers because this plant hardly ever loses its dramatic color. Cyclamen come in sweet shades of pink, rose, and red. Sometimes you’ll find them in white, but we love the colored versions. 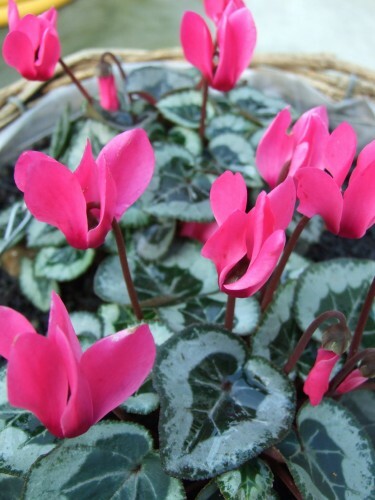 Cyclamen resemble little butterflies or shooting stars. Iceland poppies have tall, leafless stems that seem to dance in the wind, which is why they’re perfect for winter. When cold breezes kick in and chill the bones, you can look at Iceland poppy to warm your heart. Iceland poppies are typically seen in colors like orange, pink, rose, yellow, and salmon. If it’s winter where you are, you can plant these flowers in spring to have them viewable for the following winter. If you’re in full summer mode where you live right now, plant these flowers right away so they’ll be ready for you soon. In the dead of winter, when most everything is white or a shade of gray, there are certain flowers that burst through the monochrome with bold, vivid color. Which flowers are these? They’re the following beauties, and they’re ones you should consider planting if you live in an area with mild winters.